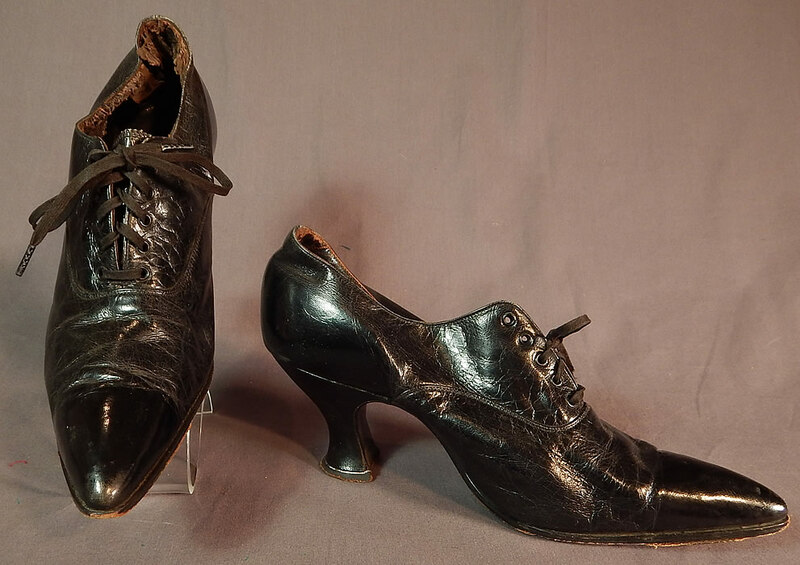 This pair of vintage Edwardian era womens black leather lace-up pointed toe low shoes date from 1910. They are made of black leather. 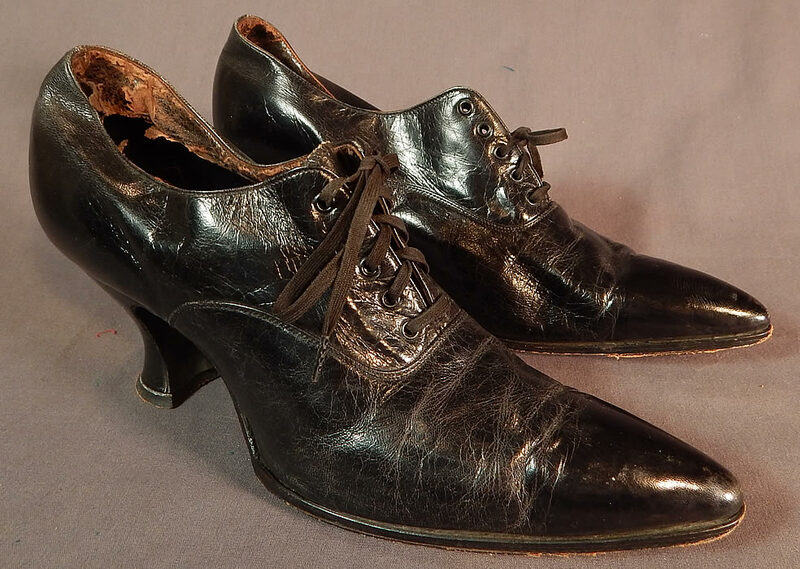 These wonderful womens work low lace-up shoes have an exaggerated pointed toe, the original shoe string laces which are frayed, broken on one shoe, black leather covered French Louis XV spool heels and are leather lined inside. 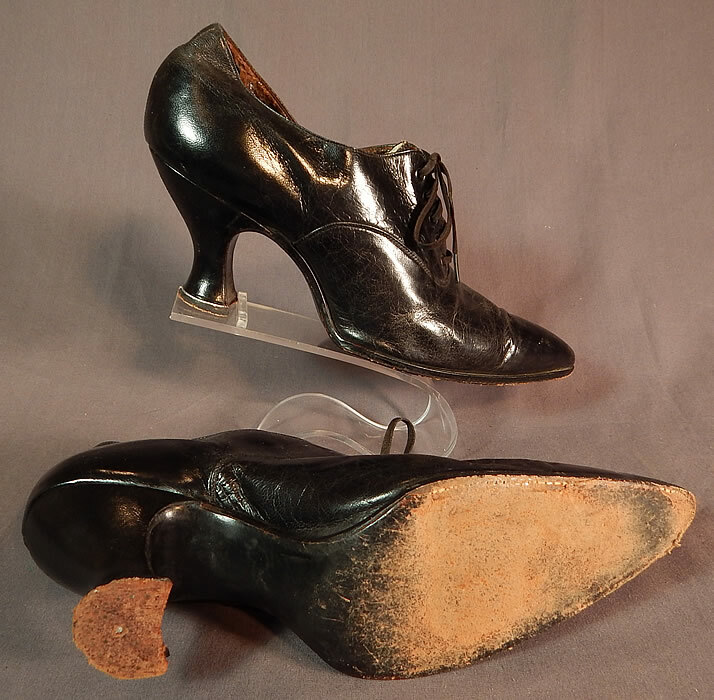 The shoes measure 11 inches long, 3 inches wide, with a 2 1/2 inch high heel. 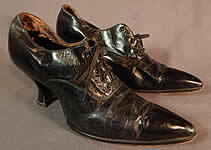 These antique shoes are difficult to size for today's foot, but my guess would be about a US size 6 or 7 narrow width. 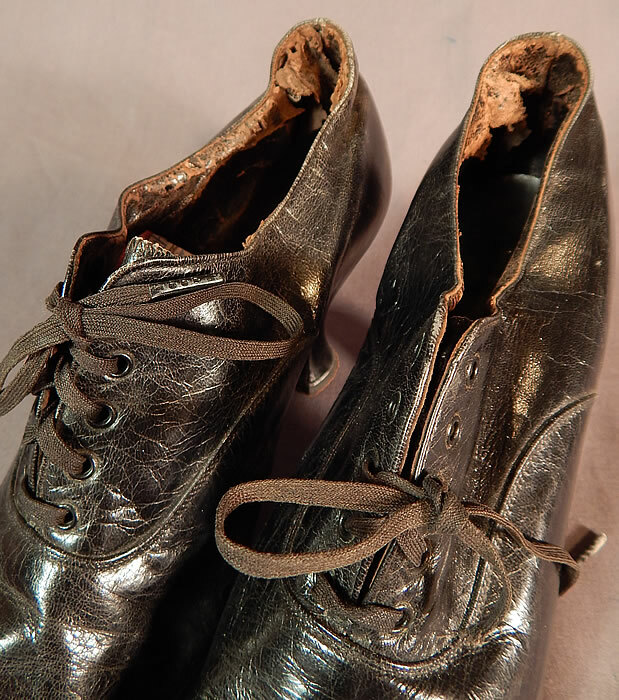 The shoes have been worn and are in good as-is wearable condition, with some wear, worn frayed areas inside the top lining (see close-ups). These are truly beautiful quality made shoe!